Your vehicle’s manufacturer didn’t put the lights in your dash just for decoration; they have a purpose. Understanding what that meaning is, and when you need to seek help, could not only keep you safe but it will prevent severe damage to your car as well. The ABS light could indicate a malfunction in the vehicle’s Antilock Braking system or the Brake Assist System. The battery icon, or charging system warning light, indicates a malfunction in the vehicle’s charging system which will cause the vehicle to lose power and could damage the vehicle’s battery. This icon resembles a speedometer with an arrow pointed towards the speed gauge. It simply indicates that the cruise control in your vehicle has been activated. The EPS warning light indicated there’s a problem with your vehicle’s electronic power steering system. This fault could cause you to lose control of the vehicle while driving. This icon indicates a lack of oil pressure in the vehicle, which should be addressed immediately with an oil change to prevent severe damage to the engine and moving parts. The low fuel warning light indicates a lack of fuel, which can be remedied at the nearest service station. This icon indicates that the vehicle’s windshield washer fluid level is low refill it to ensure a safer Boulder City area drive. This icon indicates that the vehicle’s scheduled maintenance is due. This service may be covered under your ToyotaCare plan if your vehicle is less than two years old. The vehicle’s security system has been turned on or off. This indicator flashes when the vehicle’s engine START/STOP switch has been turned off to show that the system is operating properly. The indicator stops flashing after the engine START/STOP switch has been turned to accessory or ignition on to show that the system has been canceled. The indicator light will flash when the ignition key has been removed from the switch to show that the system is in operation. The light will stop flashing after the registered key has been placed back into the ignition to show that the system has been canceled. Vehicles equipped with front passenger occupant classification systems will see this indicator change depending on the size and weight of the front passenger. When the system senses a small passenger who may be harmed by airbag deployment, the airbag indicator will show off. During all other normal activity, the indicator will show on. A malfunction in the SRS airbag system. A malfunction in the front passenger occupant classification system. A malfunction in the seat belt pretensioner system. This light indicates low tire inflation pressure that should be addressed immediately by increasing air pressure or replacing the tires. This icon indicates the status of the vehicle’s traction control system. If you find your vehicle stuck in slippery mud or fresh snow, the TRAC and VSC could reduce power from the engine to the wheels. In this instance, you may need to turn off the system in order to rock the vehicle back and forth to free it. Push and release the switch quickly to turn off TRAC. When the vehicle is free quickly press the button again to turn the system back on. This icon indicates that the right or left turn signal has been activated, useful for busy Pahrump roadways. While the vehicle is stopped, push and hold the switch to turn off TRAC and VSC. The TRAC OFF and VSC OFF indicator lights should come on. To turn the system back on simply push and hold the switch again. 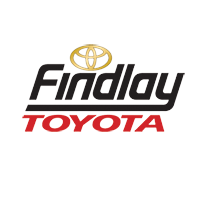 If you notice any of these indicator lights coming on and staying on when they shouldn’t, need your Toyota maintenance lights reset, or you been having issues with your vehicle on your Mesquite drive or Moapa area commute, schedule a service appointment at Findlay Toyota and let us take care of it.